We get it, you just do not feel like exercising. Ever. Well let's face it, nor do the rest of us, so even the laziest of you out there have no excuse. If you really are that lazy that you need to be given some advice on how to get up off your arse and get into the gym, then we have a few tips for you below. If these do not help you then we are afraid there really is no stopping your laziness. We all know that exercise is not the funnest thing in the world, but really we should all be doing our bit to keep fit. Not only is it a great mood raiser, but it is extremely beneficial to your health and those people who work out regularly are more likely to live longer. We know that some people just are not big fans of working out and the actual process of taking yourself to the gym can be an even bigger struggle. Well we are here to give you some words on advice that we hope will help you get geared up and ready to go. Below is our lazy guide to achieving fitness goals, with some serious lazy fitness tips. One of the hardest things to do is actually tell yourself to leave the house and go to the gym. Well if that is the case for you, then maybe it is about time you made a proper investment and created your own home gym. Fitness for lazy people can typically be put on the back burner mostly due to the fact that they never want to leave their sofa, but if you have a home gym, this eliminates the necessity of even having to leave your home. If you couldn't think of anything worse (and this is what is putting your exercise at the bottom of your list of things to do) than getting in the car and going to a busy gym where you have to queue for ages to reach the bench you want, then it is probably about time to invest in a few pieces of equipment for your home. These need not be expensive or massively space-consuming either, before you use that as an excuse. Sets of free weights, exercise machines, and benches are available at deep discounts across the internet and you can even get them second hand. 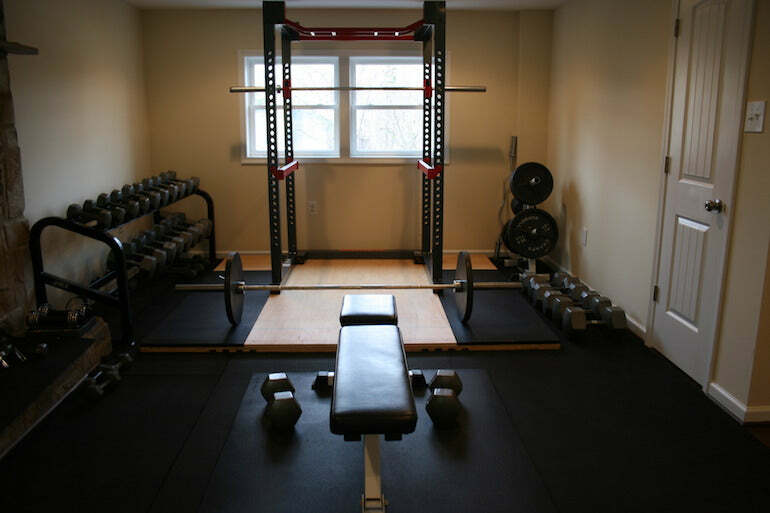 If you have a basement then perhaps you could set this u as a mini gym, or if you don't have quite that amount of space, perhaps just start of with a few dumbbells that you can easily store away. Exercising at home is quickly becoming a popular alternative to the gym, especially with the rising cost of gym memberships. Sure you might think the idea of the gym is awful and it probably is the last place you either can see yourself or want to be. While this might be true, the gym is not the only option and so you can easily find an activity that you will enjoy more. Whether this is becoming a member of a rugby or football team, joining a running club or simply working out in the comfort of your home with a few free weights. You will probably find that the problem is not with your motivation or ability to leave the sofa, but is in fact with the fact that you hate the concept of what you are leaving the sofa for. So put down the remote and go and partake in an activity, whether it be a group one or solo, that you know you will enjoy and will eventually grow to love. A gym class is a great way to stay motivated. Not only do you have someone to tell you what to do, but once you are in that room, your embarrassment at being a failure will destroy any attempts to try and leave mid-session. Gym classes are typically cheap and regular so you can find one that sits in line with your timetable. Whether you go for a HITT class, spin class or yoga, there is literally something for everyone out there. Once you get into a routine of going to a class as well, you will find that your lack of motivation will start to slide away. So you have accepted that you are lazy. 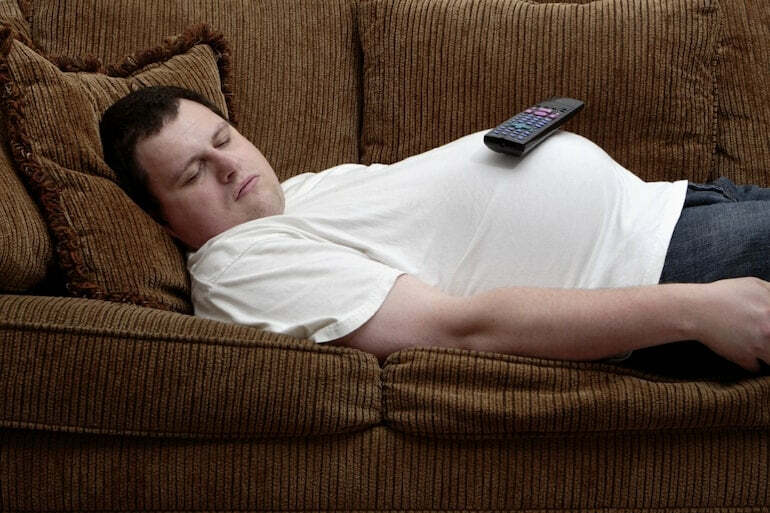 Lazy in life or just in the fact that you do not want to get fit? Well now you need to ask yourself, why is that? Perhaps you have no trouble hooking up? Perhaps you just do not see the point and have a naturally athletic body. Well you need to sit down and work out why getting fit would be beneficial to you personally. Maybe you want to trim that gut of yours down or perhaps you just want to reap the benefits of having a morning run three times a week (trust us, there are plenty). Since the dawn of time eating healthily has gone hand-in-hand with a healthy mind and body. It also goes hand-in-hand with motivation. Just think of those classic characters like Homer Simpson and Peter Griffin and it's not hard to see that the lazy people are typically those who have terrible diets. Now think to yourself, do you have a good diet? It's highly likely that you often feel sluggish and tired as a result of your poor diet, which tarnishes your ability to be bothered to go to the gym or do any form of exercise (except control the remote for your TV). Eating healthily is also quite a lazy way to avoid the gym. Just think, if you are consuming less calories, there is less of a need to trim down your gut or get rid of those bingo wings. So if you are trying to get slimmer or a little less sluggish with minimal effort, start by eating less. It is true what they say: getting fit starts in the kitchen. When attempting to get fit this should be one of the first things you consider, especially if you find it extremely hard to get motivated to go to the gym. Having someone else who has similar goals to you will make going to a gym or working out a lot more easy as you will know that you are not alone in this uphill struggle (although it's only an uphill struggle if you tell yourself it is). Also having someone to push you to leave the sofa can only be a positive thing, but you need to remember that your gym buddy must be motivated in the first place and cannot be just as complacent as you are. If seeking accountability is what you think will help you, you need to know that you just stick to it. If you get a gym buddy who is extremely motivated and you are constantly turning down their offers to go to the gym with you, they will get p*ssed off. Make sure it is definitely what you want and if not, go it alone as there is no point dragging someone else down with you. This is for the ultimate lazy person (and the person who can afford it). 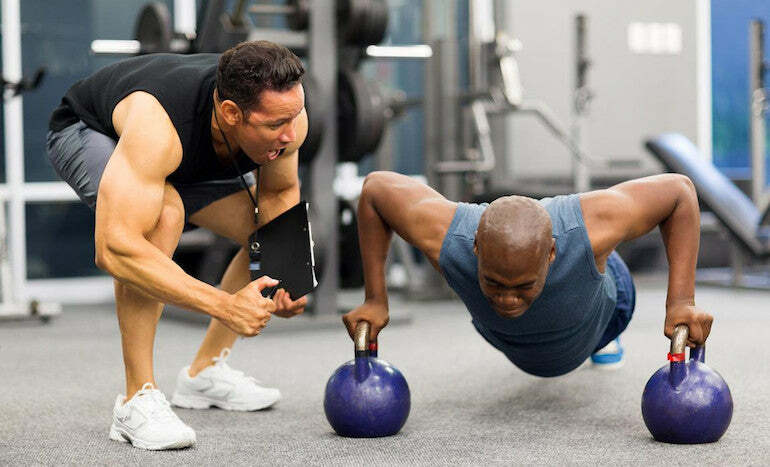 A personal trainer will essentially motivate and force you to change your lifestyle. While we know that a personal trainer can be expensive, they can also be extremely instrumental in destroying your crushing lack of motivation and laziness. Often personal trainers are so forceful that they can actually be pretty terrifying, so you won't actually have a choice. Some personal trainers go so far as to actually taking you food shopping too, laying out what you need to eat to get the results you want. Aforementioned diet and exercise go hand-in-hand and so having someone to tell you to do both will eliminate any opportunity for laziness to arise across both categories. If you really are struggling to stop being such a lazy idiot, then perhaps it is time to change a few things about your lifestyle. If there is simply no way of getting off the sofa, perhaps get rid of it. If you find yourself watching too much TV at the weekends when a lot of your mates are out doing exercise, consider trading in that TV. Perhaps you cannot tear yourself away from your Xbox or other games console? For a week give it to your sibling/cousin/nephew/niece and see if it rally does leave a dent in your life. Is your fridge stocked with fizzy drinks and unhealthy snacks? Get rid and make it a habit to only stock your fridge with foods that won't leave you feeling sluggish. Often finding the root of your laziness is a tricky task. Often it can be the way you were brought up or have been spurned on after an accident that left you bed bound for some time. Often it is due to your sleeping pattern. If you are the type to sit and binge watch Netflix shows night after night then it is no surprise that you cannot be bothered to get up and go the gym or do any form of exercise. If this is the case then we really recommend you start switching off your electrical devices around 9pm and start allowing yourself to wind down naturally. Perhaps read a book or perhaps do some meditation. We also recommend putting down your phone an hour before you turn the light out as your mind will still be working hard if you are scrolling up and down your instagram feed until the minute before you decide to sleep. An average of eight hours sleep a night is really what you need and you need to keep it consistent. This way you won't be feeling so sluggish and will mean you won't feel as awful about going to do exercise. This is one of the easiest lazy fitness hacks to complete. So above we have tried to give you some general tips on how you can become a little less lazy when it comes to getting some exercise in. If the above doesn't help you then we really don't know what else to suggest (hypnotism?) so we wish you all the best If it has helped you a little then hopefully you are packing up your gym stuff right now and heading off to that once dreaded place. Fitness for the lazy man doesn't have to be a bad thing.